Stu Moore, Manager of Gem Lake Station where tests were conducted last year, is one farmer who will be switching to Alpheus Anti-Parasitic Capsules. Sixty cattle on the Otago property were part of the testing last year. 30 were given Alpheus capsules, 15 were drenched and 15 were injected. All the cattle were weighed and FEC tested every two weeks. This testimonial is as a PDF, click the link below to download it or view on your device. Central North Island farmer, Eliot Cooper, did not need formal identification to tell which of his stock were taking part in a trial for Sirona Animal Health’s Alpheus Anti-Parasitic Capsules. “Heading into the third month of the trial, condition wise, it was pretty evident, visually quite evident. The four-month trial started in March 2015 using136 R1 dairy heifer replacements all grazed in the Manawatu. Seventy-two of them were given the Alpheus Anti-Parasitic Capsules plus a primer dose and 64 were given a triple oral drench every 28 days - dosed according to weight. All animals were weighed every 28 days. “You could certainly visually see the difference on the majority of them,” Eliot said. “No doubt about it, not just the weight. Visually, they were in a lot better condition. You could just see that their body condition was a lot better than the others. “For me, the big attraction is the convenience. “It’s a pretty simple product to use, it’s not a biggie to apply. “And at that time of the year, you’re sort of leading into lots of other issues so the last thing you want to be doing is dealing with live stock. The fact is, you can get these weaners in, give them a capsule, and they’re fine for well over 3 months. That got us right through March, April, May, and into June. “That is what I see as a real strength, that and what’s coming out of it, certainly the weight gains more than pay for the capsules. There’s no doubt about that. “Plus they took faecal samples on the way through to look for parasite eggs and there was just no sign of any worm activity anywhere in the ones on the trial with the capsule. “The autumn is always a bit bad for worms, and if you’re not on top of your game it doesn’t take long for you to pay the price with crook animals with worm burdens. If you’ve got a capsule that you know is going to last for 125 days, it’s a pretty good peace of mind isn’t it? “You take that through to winter - it just makes wintering them that much easier. You get yourself into winter with good body condition, it just means that they will winter that much better”. 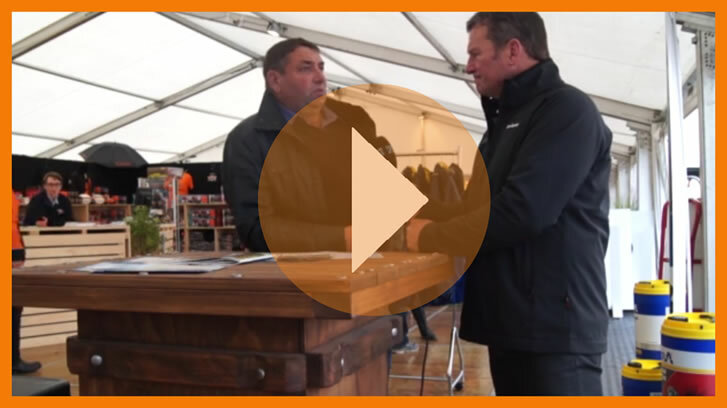 Eliot says that Sirona Animal Health’s Alpheus Anti-Parasitic Capsules can give farmers a financial gain through the time saved and through the increased productivity of healthier and heavier stock. 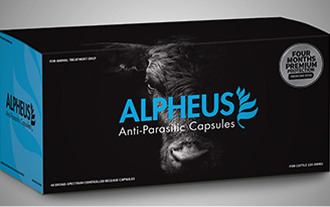 Despite the tough financial year, he’s recommending using Alpheus Anti-Parasitic Capsules as a good investment. “It’s bloody hard this year, with such a low pay-out”, Eliot says, “but I still think if you do the numbers, the time you spend getting stock in to drench them, the cost of the drench, one of them would have to be a pour on, and you’d have to be regularly doing oral drenches as well, there’s a good argument that it pays for itself.